Is Small Oil Production Line Worth for Investment? 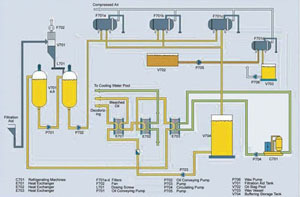 How to Build Small Edible Oil Production Line? Edible/vegetable oil refining is a step by step process. 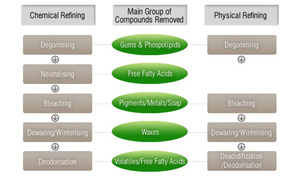 Refining oil removes phospholipids, pigments, off-flavors, free fatty acids and other impurities. 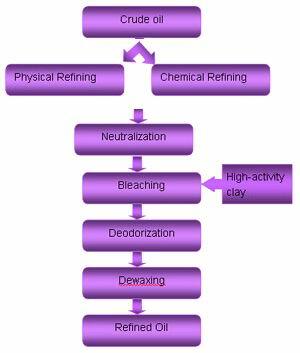 The entire oil refining plant process comprises degumming/neutralization, bleaching, deoderization, and winterization. 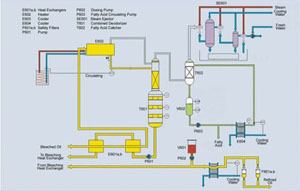 Chemical refining is performed in order to remove the fatty acids from the crude oil that is extracted from the seeds. These are further neutralized with the use of caustic soda. This results in the removal of sodium soaps by batch settling or centrifugal separators. The neutral oils are then bleached and deodorized. Apart from chemical refining, another method that is used for edible oil refining is physical refining. 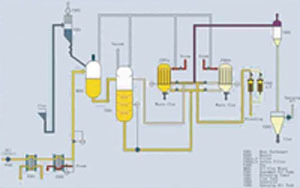 Through this method, the free fatty acids are removed through the process of distillation in one stage of deodorizing. In order to come up with effective results, the crude oil should be thoroughly degummed. This is not applicable with some oil like the oil extracted from cottonseeds. All kinds of refining methods are done with the help of various equipment and machinery, and are used to refine almost all kinds of oil extracted from oil seeds like sunflower seeds, linseeds, groundnuts, sesame seeds, and mustard seeds, etc. Physical and chemical refining is defined according to the technology used. Physical refining means the removal of gum in oil via the process of degumming, a special method for removing FFA in the process of deodorization by steam. Chemical refining, however, means chemically removing FFA (acid-base neutralization). Gum and soap produced is then separated by centrifuges. With 10 years' experience in manufacturing and exporting complete oil mills as well as a variety of oil mill machinery, KMEC is an expert in edible oil refining. In the oil refining plant, there are several steps to follow. With 10 years' experience in manufacturing and exporting complete oil mills as well as various oil mill machinery, KMEC is an expert in edible oil refining. In the oil refining plant, there are several steps to follow. The pretreated oil is subjected to alkali refining. The caustic soda reacts with free fatty acids (FFA) present in the oil and forms soap stock. The soap stock is then removed by a centrifugal separator and oil is washed with water for the complete removal of soap stock. The wash water is separated out by centrifugal separators. As the name suggests this process is meant for the removal of odor. Every vegetable oil has its own distinct natural odor. During neutralization and bleaching, unpleasant odors are imparted in the oil, thereby making it essential to remove this odor. Deodorization is essentially a process to remove odiferous matter. The operation is carried out at a high temperature by injecting open steam and maintaining high pressure at which time all odoriferous matter is distilled and removed to barometric condensers through a vacuum system. The resultant oil is odorless – deodorized oil. The neutralized oil is treated with bleaching earth/activated carbon for the removal of colored pigments. The bleaching agent is filtered out in vertical pressure leaf filters. A multi-part design ensures uniform consistency in color with minimum bleaching agent requirements. 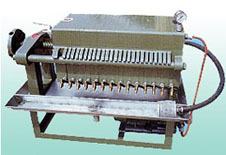 The bleaching line is versatile and adaptable for all varieties of vegetable oil. Oils like sunflower oil or maize germ oil (corn oil) have waxes present in them. At low temperatures these waxes give a hazy appearance to the oil. It is therefore essential to remove these waxes prior to bottling and marketing of the oil. Welcome to email us whenever you feel interest in edible/vegetable oil refining. We can help you build oil refining plant and other oil processing plants with different capacities, Write us today to get futher infomation!